The other day, I popped into my local coffee shop between meetings. The vast majority of patrons were on their laptops, hard at work. This got me thinking about how the rise in flex schedules is changing what the typical workspace looks like. I did some research and found a recent study that says 85% of respondents believe a flexible workplace design is important, and nearly as many say they have their best ideas when working in flexible workspaces. So how do we translate that to the office? Think outside the box. It may be time to ditch the cubicles. 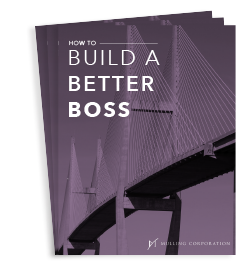 As more professionals redefine what it means to go to work, from flex time to telecommuting, creating more dynamic workspaces can lead to more effective collaboration and innovation. Think reconfigurable furniture, shared worktops, and designated quiet spaces. Focus on the details: The latest office design trends include more natural light and pops of color in everything from seating to artwork. These elements more closely mimic a comfortable space as well as promote positivity. And when it comes to artwork, break away from traditional framed pieces to include creative imagery that inspires such as murals and sculptures. Incorporate employee wellness: If you want your staff to stay awhile, consider offering healthier food and beverage options, as well as an onsite fitness center so they don’t feel the need to go out as much during the day. Also, provide comfortable areas for people to socialize or take a break, something we do in our own homes. And don’t forget special accommodations such as a designated nursing room for new mothers. What it means to “go to work” is rapidly changing for professionals across the country. 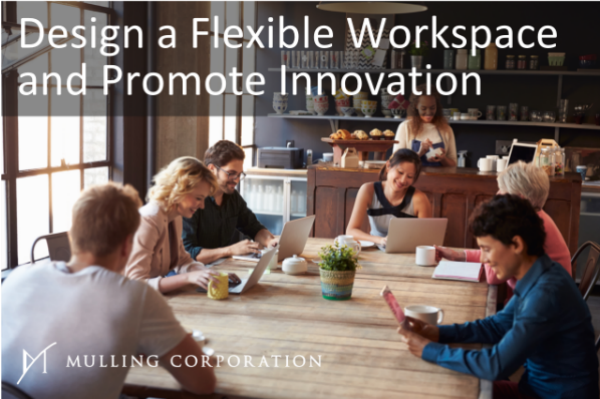 Incorporate the ideas above into your workplace design to promote innovation, encourage collaboration, and attract as well as keep top talent engaged.